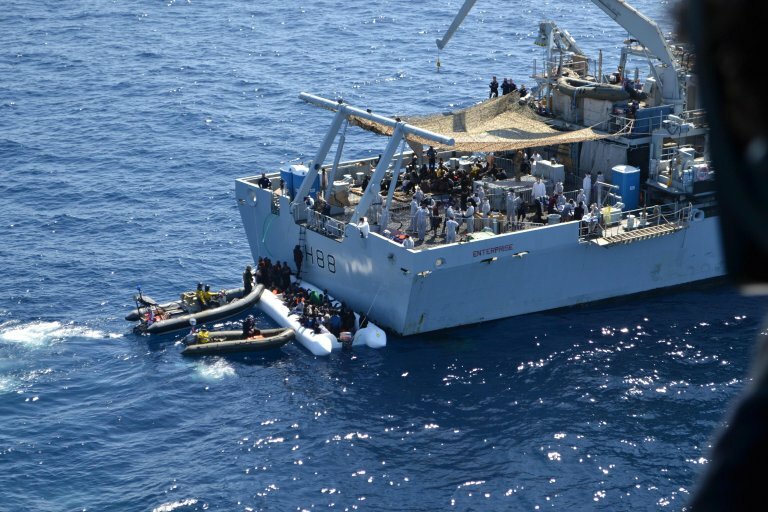 The European External Action Service has presented a new proposal on the table of the Political and Security Committee (PSC) to continue talks on operation Sophia, which reached an impasse on the issue of migrants rescued by the mission's vessels. Negotiations are continuing on European operation Sophia, whose strategic mandate will expire at the end of December. After months of talks, the European External Action Service led by EU foreign policy chief Federica Mogherini has presented a new proposal on the table of the Political and Security Committee (PSC). The objective is to tackle the only controversial issue of talks concerning the fact that migrants rescued by the mission's vessels should all be taken to Italy, under the current operational plan. According to European diplomatic sources, the new document provides for the Maritime Rescue Coordination Center (MRCC) to decide the port of landing, taking into account the circumstances of the rescue operation and timing in order for rescue teams to be operational again as soon as possible. Efficiency and speed are key for the plan. However, as a last resort in the event of a controversy, the proposal provides for the country of the MRCC to offer one of its ports to offload the rescued migrants, provided that it is possible to organize an immediate screening and a quick redistribution of those who have a right to asylum among countries that offer accommodation. A group of countries, however, are insisting on a solution including more sweeping measures on migration, highlighted at a European summit in June, like for example regional platforms for landings and controlled centers. Little progress, however, has been made on such initiatives. All countries taking part in Sophia have expressed the wish to continue the operation although a solution still appears far.